Ensuring that you foster a great experience when onboarding each new employee is vital to retaining the new talent you fought so hard to acquire, making certain the company and new hire are indeed a good fit, being mindful of not overtaxing your existing talent in training their new co-working and in completing all the necessary compliance requirements and paperwork. With Checkmate HCM, you can develop automated workflows, onboarding checklists, comprehensive training schedules and maintain real-time electronic files to continually capture all employee data as part of a single, secure record. 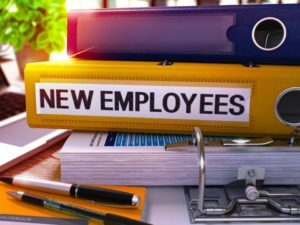 Be sure you and your team are in sync to deliver a consistent, compliant and warm welcome for each new recruit.